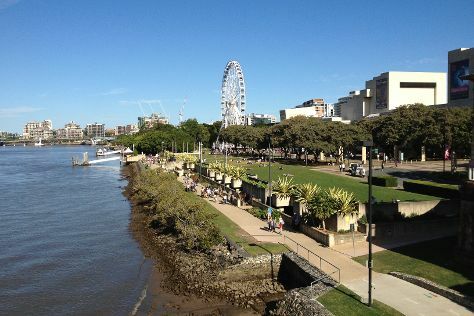 Kick off your visit on the 21st (Thu): get in on the family fun at Wheel of Brisbane, then contemplate the waterfront views at The Brisbane River, and then walk around South Bank Parklands. To see where to stay, ratings, reviews, and more tourist information, you can read our Brisbane trip site . If you are flying in from India, the closest major airports are Brisbane International Airport and Gold Coast Airport. In February, daily temperatures in Brisbane can reach 33°C, while at night they dip to 24°C. Cap off your sightseeing on the 21st (Thu) early enough to travel back home.